Gemini Rosemont, LLC, a leading real estate investment company with holdings of approximately nine million square feet of commercial office space, has signed Brammer Engineering to a lease at Louisiana Tower, in Shreveport, La. 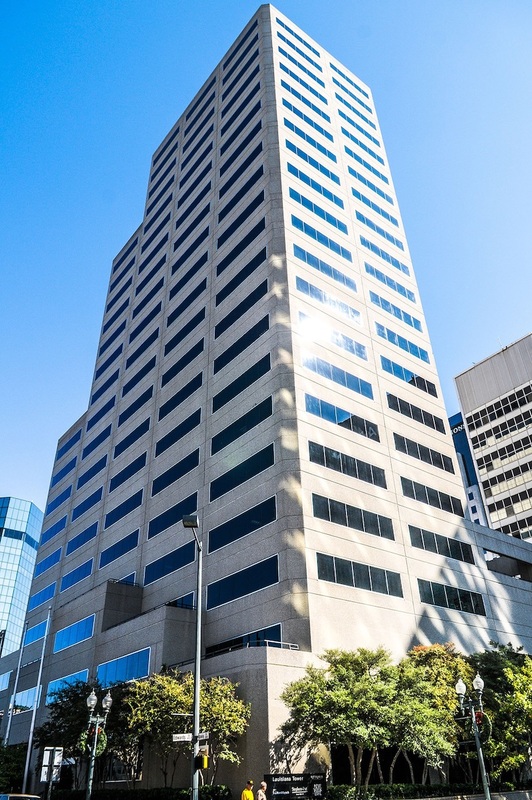 The five-year lease includes 11,708 square feet located on the 15th floor of the 21-floor building at 401 Edwards Street in downtown Shreveport. Tenant improvements are being completed by Shreveport-based Gene Nims Builders, with occupancy expected in September 2019. Brammer Engineering is a Shreveport-based full-service operating, property management and consulting firm that provides a wide-range of operational and administrative services for the oil and gas industry. Louisiana Tower is within walking distance to local and state government offices, and is close to restaurants, hotels and casinos. In addition to 24-hour security guard with after-hours card access and the two on-site restaurants, other on-site amenities include a full-service copy service company, a full-service bank, an attached covered parking garage and a shoe shine service. Raymond Alley, with Walker Alley & Associates, represented tenant in the negotiations. Other tenants in the building include Capital One Bank, Merrill Lynch, New York Life, Bradley Murchison Kelly & Shea, and Stephens Financial. Suites ranging from 554 to 12,280 square feet are currently available, according to Skinner.